Fatma Ahmed will go down in history as the first woman to be appointed as Major General in the Kenya Defense Forces. She has been promoted to the position of Assistant Chief of the Defense Forces for Personnel and Logistics. The former Brigadier was sworn in by President Uhuru Kenyatta on Friday morning. 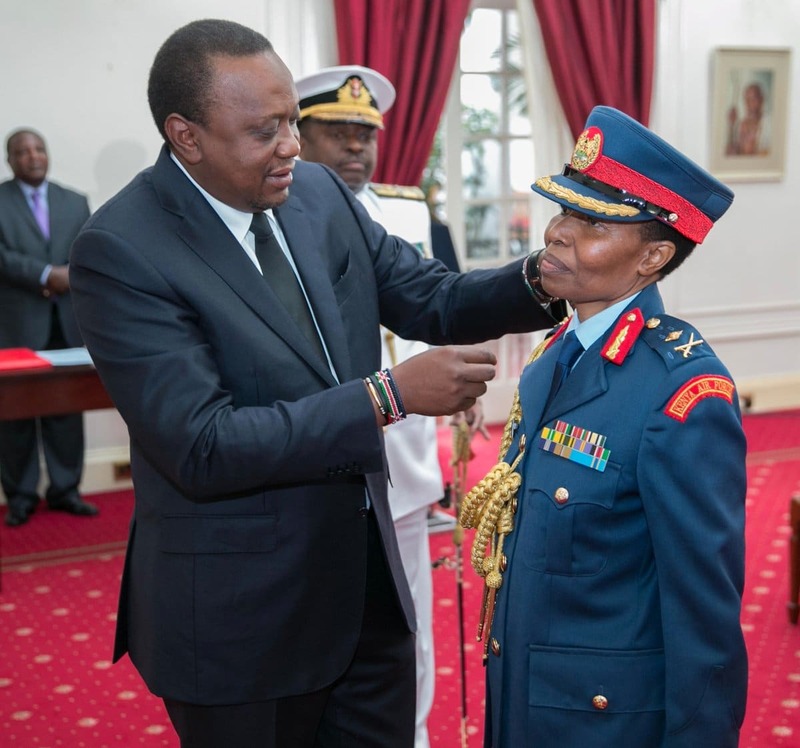 In 2015, Fatma became the first Woman Brigadier in the Kenya Defense Forces. This was the highest title in the Forces ever held by a woman until she got promoted to her current position of Major General. She previously held the title of Colonel at Kenya Navy before being promoted as a Brigadier. The President urged her to be a positive role model to women across the country. Also sworn to office was Lieutenant General Walter Koipaton Raria who was named the Kenya Army Commander. Other appointments include; Major General Francis Ogolla appointed as Kenya Airforce Commander and Lieutenant General Robert Kibochi Vice Chief of the Kenya Defence Forces.